Hofmann was born in Baden, Switzerland, the first of four children to factory toolmaker Adolf Hofmann and his wife Elisabeth (born Elisabeth Schenk). Owing to his father's low income, Albert's godfather paid for his education. When his father became ill, Hofmann obtained a position as a commercial apprentice in concurrence with his studies. At the age of twenty, Hofmann began his chemistry degree at the University of Zürich, finishing three years later, in 1929. His main interest was the chemistry of plants and animals, and he later conducted important research on the chemical structure of the common animal substance chitin, for which he received his doctorate with distinction in 1929. One often asks oneself what roles planning and chance play in the realization of the most important events in our lives. [...] This [career] decision was not easy for me. I had already taken a Latin matricular exam, and therefore a career in the humanities stood out most prominently in the foreground. Moreover, an artistic career was tempting. In the end, however, it was a problem of theoretical knowledge which induced me to study chemistry, which was a great surprise to all who knew me. Mystical experiences in childhood, in which Nature was altered in magical ways, had provoked questions concerning the essence of the external, material world, and chemistry was the scientific field which might afford insights into this. ... affected by a remarkable restlessness, combined with a slight dizziness. At home I lay down and sank into a not unpleasant intoxicated[-]like condition, characterized by an extremely stimulated imagination. In a dreamlike state, with eyes closed (I found the daylight to be unpleasantly glaring), I perceived an uninterrupted stream of fantastic pictures, extraordinary shapes with intense, kaleidoscopic play of colors. After some two hours this condition faded away. Three days later, on 19 April 1943, Hofmann intentionally ingested 250 micrograms of LSD. This day is now known as "Bicycle Day", because he began to feel the effects of the drug as he rode home on a bike. This was the first intentional LSD trip. Hofmann later discovered 4-Acetoxy-DET (4-acetoxy-N,N-diethyltryptamine, also known as ethacetin, ethylacybin, or 4-AcO-DET) a hallucinogenic tryptamine. He first synthesized 4-AcO-DET in 1958 in the Sandoz lab. Hofmann became director of Sandoz' natural products department and continued studying hallucinogenic substances found in Mexican mushrooms and other plants used by aboriginal people there. This led to the synthesis of psilocybin, the active agent of many "magic mushrooms." Hofmann also became interested in the seeds of the Mexican morning glory species Turbina corymbosa, which are called ololiuhqui by natives. He was surprised to find the active compound of ololiuhqui, ergine (LSA, lysergic acid amide) to be closely related to LSD. In 1962, Hofmann and his wife Anita Hofmann (née Guanella, sister of Gustav Guanella, an important Swiss inventor) traveled to southern Mexico to search for the plant "Ska Maria Pastora" (Leaves of Mary the Shepherdess), later known as Salvia divinorum. He was able to obtain samples of this plant, but never succeeded in identifying its active compound, which has since been identified as the diterpenoid salvinorin A. In 1963, Hofmann attended the annual convention of the World Academy of Arts and Sciences (WAAS) in Stockholm. Hofmann, interviewed shortly before his hundredth birthday, called LSD "medicine for the soul" and was frustrated by the worldwide prohibition of it. "It was used very successfully for ten years in psychoanalysis," he said, adding that the drug was misused by the counterculture of the 1960s, and then criticized unfairly by the political establishment of the day. He conceded that it could be dangerous if misused, because a relatively high dose of 500 micrograms will have an extremely powerful psychoactive effect, especially if administered to a first-time user without adequate supervision. In December 2007, Swiss medical authorities allowed psychotherapist Peter Gasser to perform psycho-therapeutic experiments on patients suffering from terminal-stage cancer and other deadly diseases. Completed in 2011, these represent the first study of the therapeutic effects of LSD on humans in 35 years – other studies had examined the drug's effects on consciousness and body. Hofmann acclaimed the study and reiterated his belief in LSD's therapeutic benefits. In 2008, Hofmann wrote to Steve Jobs, asking him to support this research; it is not known if Jobs responded. The Multidisciplinary Association of Psychedelic Studies (MAPS) has supported psychoanalytic research using LSD, carrying on Hofmann's legacy and setting the groundwork for future studies. Hofmann was to speak at the World Psychedelic Forum from 21 to 24 March 2008, but had to cancel because of ill health. Hofmann was a long-time friend and correspondent of German author and entomologist Ernst Jünger, whom he met in 1949. Jünger experimented with LSD with Hofmann; in 1970, Jünger published a book of his experiences taking several types of drugs, Annäherungen. Drogen und Rausch (Approaches: Drugs and Intoxication). After retiring from Sandoz in 1971, Hofmann was allowed to take his papers and research home. He gave his archives to the Albert Hofmann Foundation, a Los Angeles-based nonprofit, but the documents mostly sat in storage for years. The archives were sent to the San Francisco area in 2002 to be digitized, but that process was never completed. In 2013, the archives were sent to the Institute of Medical History in Bern, Switzerland, where they are currently being organized. Hofmann died of a heart attack on 29 April 2008, surrounded by several grandchildren and great-grandchildren. He and his wife, Anita, who died in 2007, raised four children. The Swiss Federal Institute of Technology (ETH Zurich) honored him with the title D.Sc. (honoris causa) in 1969 together with Gustav Guanella, his brother-in-law. In 1971 the Swedish Pharmaceutical Association (Sveriges Farmacevtförbund) granted him the Scheele Award, which commemorates the skills and achievements of the Swedish Pomerania chemist and pharmacist Carl Wilhelm Scheele. ^ "Albert Hofmannf". Multidisciplinary Association for Psychedelic Studies. Archived from the original on 30 April 2008. Retrieved 29 April 2008. ^ a b "Obituary: Albert Hofmann, LSD inventor". London: Daily Telegraph. 29 April 2008. Archived from the original on 1 May 2008. Retrieved 29 April 2008. ^ Hofmann, A. "Psilocybin und Psilocin, zwei psychotrope Wirkstoffe aus mexikanischen Rauschpilzen." Helvetica Chemica Acta 42: 1557–1572 (1959). ^ "Top 100 living geniuses". The Daily Telegraph. London. 30 October 2007. ^ Dieter Hagenbach; Lucius Werthmüller; Stanislav Grof (2013). Mystic Chemist: The Life of Albert Hofmann and His Discovery of LSD (First English ed.). Santa Fe, NM: Synergetic Press. p. 16. ISBN 978-0-907791-46-1. ^ Hoffman, Albert; J. Ott (1996). "LSD: Completely Personal". Newsletter of the Multidisciplinary Association for Psychedelic Studies. 6 (3). Retrieved 7 November 2013. ^ a b "LSD, My Problem Child". psychedelic-library.org. Retrieved 16 November 2009. ^ "LSD inventor Albert Hofmann dies". BBC News. 30 April 2008. ^ "LSD: The Geek's Wonder Drug?". Wired.com. 16 January 2006. Retrieved 29 April 2008. ^ Bleidt, Barry; Michael Montagne (1996). Clinical Research in Pharmaceutical Development. Informa Health Care. pp. 36, 42–43. ISBN 0-8247-9745-0. ^ Smith, Craig S. (7 January 2006). "New York Times article". The New York Times. ^ "LSD-Assisted Psychotherapy for Anxiety". Multidisciplinary Association for Psychedelic Studies. 21 October 2011. ^ "The comeback of LSD – swissinfo.ch". ^ Weldon, Carolyne (17 August 2012). "Meet the Lab Coat-Clad Granddaddies of LSD". NFB.ca blog. National Film Board of Canada. Retrieved 17 August 2012. ^ "LSD-Assisted Psychotherapy for Anxiety". Multidisciplinary Association for Psychedelic Studies. 7 September 2011. ^ Letzing, John. "LSD Archive Has Been on a Long, Strange Trip". Wall Street Journal. ISSN 0099-9660. Retrieved 20 October 2015. ^ Craig S Smith (30 April 2008). "Albert Hofmann, the Father of LSD, Dies at 102". The New York Times. Retrieved 2 May 2013. ^ "The Scheele Award" (PDF). The Scheele Award. Swedish Academy of Pharmaceutical Sciences. 2005. Retrieved 15 December 2013. 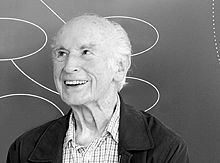 Wikimedia Commons has media related to Albert Hofmann. This page was last edited on 9 January 2019, at 01:22 (UTC).